**PLEASE NOTE: THIS SITE IS NOW MOTHBALLED** Fallow is no longer and Verbose is now run by Jo and Zena at Fred’s Ale House in Levenshulme. 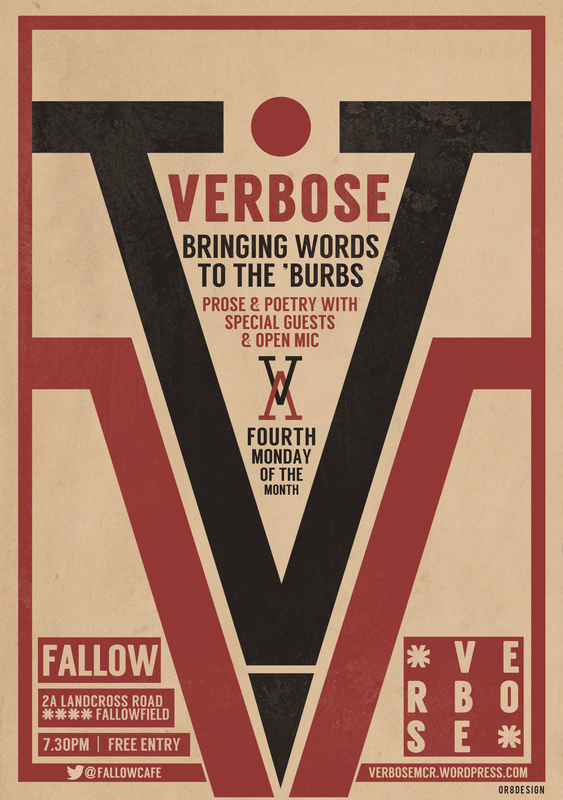 Verbose is a monthly spoken word night, showcasing the best poetry and prose the Rainy City (and beyond) has to offer. Each month sees special performances by featured guests from various writing collectives and independent publishers, along with an open mic, when anyone can get up and read their work – see the Open Mic tab. The event takes place on the fourth Monday of the month, at Fallow cafe in Fallowfield, Manchester. It’s free entry and doors are at 7.30pm, with things kicking off at around 8pm and finishing around 10pm. Fallow is a fully licensed bar and sells some scrummy scran until 9pm.